April 27, 2018: On the fourth day of debate within the House of Representatives on the FY19 State Budget, Mass Retirees officials received disappointing news – the amendment pertaining to the State Basic Life Insurance was not adopted. Amid intense pressure from state retirees to increase the Basic Life Insurance benefit to $10,000, House leaders chose to defer a decision on the matter until the House takes up omnibus Health Care Reform legislation later this spring. The bill is now being written by the Committee on Healthcare Finance, which is now chaired by Rep. Jeff Roy (D-Franklin). As reported in the current edition of the Voice, Health Care Finance had been chaired by Rep. Peter Kocot (D-Florence). Kocot, who was a close friend and ally of Mass Retirees, and died unexpectedly in late February, while recovering from a brief illness. In the aftermath of the 2008 financial crisis and several rounds of ballot-initiated tax cuts, state budgets have become increasingly lean, with very tight restrictions placed on new spending or the adoption of amendments. Responding to requests from state retirees, the Association’s legislative team made an all-out attempt to include an increase in the Basic Life Insurance within the FY19 budget. Amendment 917, filed Rep. Dan Cahill (D-Lynn), attracted more than 90 bipartisan cosponsors after a deluge of calls and emails from state retirees flooded the State House this past week. “First, I want to thank every member who took the time to call or email their State Rep. Your efforts made a huge impact. A lot of attention was brought to the issue of retiree life insurance. And I still believe we will be successful in passing an increase in the near future,” said Association President Frank Valeri. “Obviously, we are very disappointed that our Basic Life Insurance Amendment was not adopted into the budget. State retirees are asked to contact their State Representative and ask that they make increasing the Basic Life Insurance benefit a priority for 2018. Remind them that this benefit has not increased since 1985 and is now woefully inadequate to cover funeral and burial expenses. 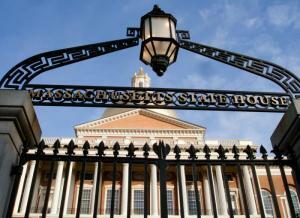 The House is anticipated to debate Health Care Reform in late May or June. 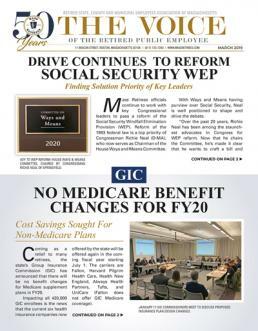 The legislation may include provisions impacting both public retirees and employees, as well as the overall health care marketplace and private sector health insurance plans. Click here for the Legislator look-up.